The weather is cooling down, such that more dogs will come out in public to play, accompanied by their owners. If you are the owner or person responsible for a dog, pursuant to Arizona law, a dog should either restrained on a leash or confined by an enclosure, or both. In fact, injury to any person or damage to any property by a dog while “at large,” which means neither confined by an enclosure nor physically restrained by a leash (i.e. unleashed), shall be the full responsibility of the owner. A dog bite lawyer may help you recover for your damages. A person who is attached or bitten by an unleashed dog that is not confined by an enclosure shall be entitled to compensation for his or her personal injuries, including medical expenses, pain and suffering, loss wages and more. The Hutson Law Firm, PLLC, represents and advocates for and on behalf of victims of dog bites, because dog bite lawyer Randal Hutson, an experienced personal injury lawyer, believes that dog owners should to be held responsible for injuries inflicted by dogs when neither restrained by a leash nor confined by an enclosure. Responsible dog ownership is a must. A dog bite lawyer can help to bring about responsible dog ownership within Phoenix, North Phoenix, Glendale, Peoria, Anthem, New River and surrounding areas, by holding irresponsbile dog owners accountable for the harms inflicted by their dogs. 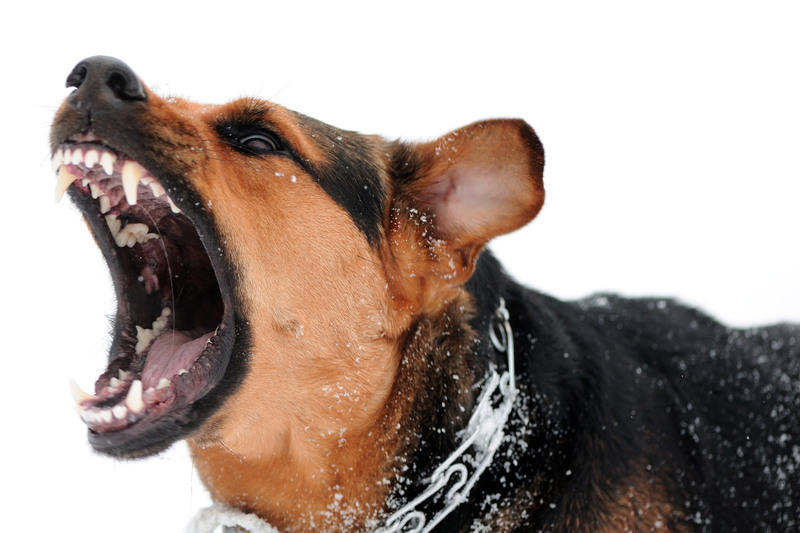 If you were the victim of a dog bite when a dog was not on a leash or confined to enclosure, call The Hutson Law Firm, PLLC, at 623-628-7400 for a free consultation with a dog bite lawyer. If you wait to long before taking legal action, your dog bite claim may be barred, so do not delay.